Happy Motivation Monday! I hope you all had a brilliant day and have recovered from the weekend by now. For this weeks 'Fit & Fabulous Series' I have decided to share my own process. I should have taken photos like these at the start so that I could really see how my body has changed in the last couple of weeks but I was too shy! 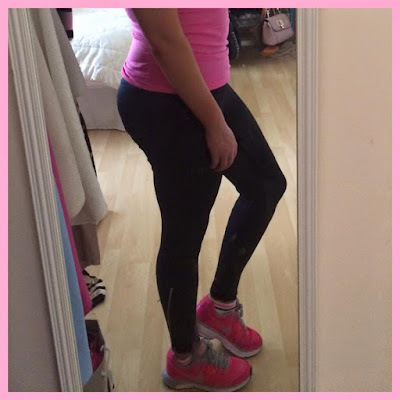 I think that when people (myself included) are focusing on trying to lose weight or to tone their bodies. They don't notice what they have achieved. In their head they are still the same as before they started training. I have always been like this even when I used to weigh myself, I would see the number coming down but still wouldn't believe I had lost anything. Now I no longer weigh myself. This is why I started taking photos and now I can really see the difference as cringey as it is to take them. This week I will be I going to two kettle bell classes, two circuits, one spin class and one stretch and core. The gym I attend is called Ultrafit Studios it is in Castlebar and you can find all the information about classes, packages and trainers here. Last week was my best week so far this year for attending classes and I really felt the difference. I was so tired on Wednesday but I pushed myself to go to class and when I did I was delighted and felt so much better after it. When I woke up on Thursday morning I was craving my workout. I didn't get the cardio in that I wanted to and the only reason for this was laziness. I really want to get into running everyone who runs loves it and says its so good for the mind as well as the body. I don't know what I have against it, I would just prefer to do ten classes over going for a run. Is anyone else like this or is it just me. I think I just have to get into the right mind set and take baby steps. I have worked really hard over the last few weeks to increase my water intake and finally I am drinking enough. The more I drink the more I want it. I was suffering with dehydrated skin and breakouts and thankfully my skin is now blemish free and hydrated. My diet has become a lot better and I have really boosted my fruit and veg intake. I haven't gone back to doing the ab and squat challenge that I was doing before I got ill but this week I will work on bringing them back into my routine. The below photos are of my process so far. I am not anywhere near where I want to be yet but I thought I would show you my progress. It is a slow process but stopping wont make it happen any faster so keep moving and never give up. I also thought that these photos will help to motivate me to work even harder now that you've all seen them. Now lets see what we can achieve in the next few weeks! 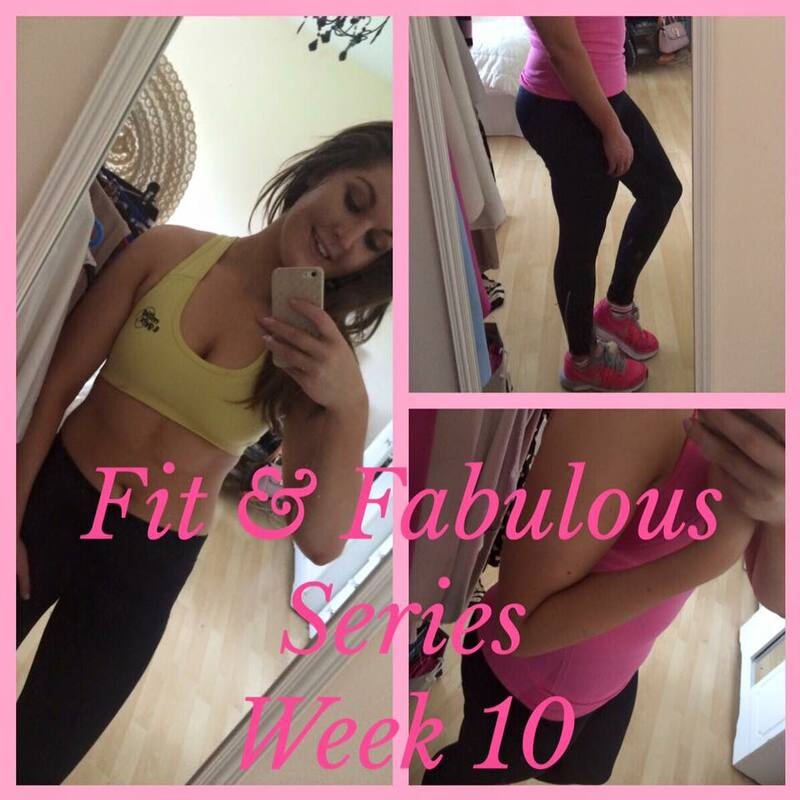 So guys there you have it my 'Fit and Fabulous Series Week 10', can you believe we're at week 10 already. Its gone so fast. It has been requested that I do another series, is that something you would be interested in? If so you can email me at kerrieburkexo@gmail.com for any requests or questions you may have.